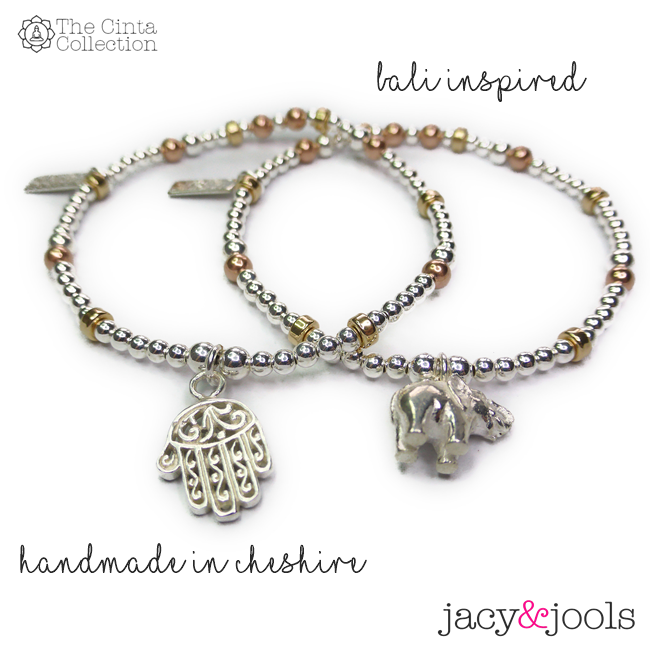 We’ve called our new mixed metal collection featuring sterling silver and rose & gold filled beads and charms The Cinta Collection. 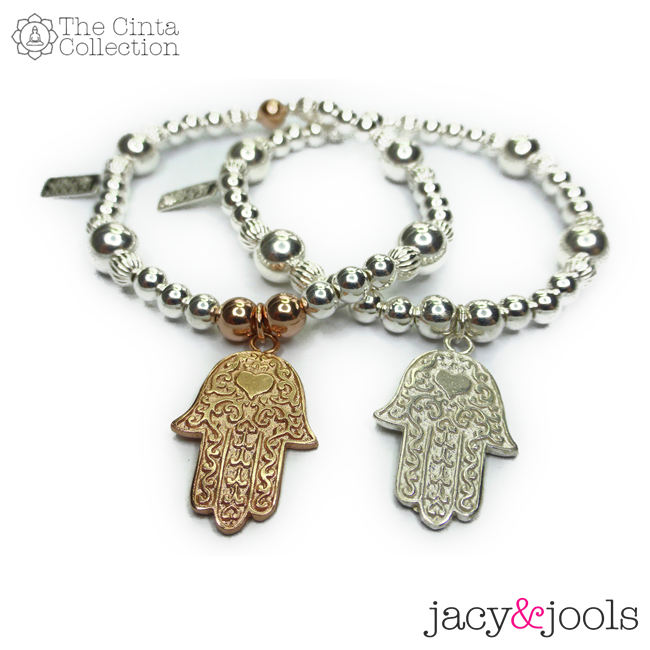 Cinta is the Indonesian word for love which we thought was very appropriate because we love our Bali charms at Jacy & Jools! It’s also a very happy coincidence that ‘Cinta’ is the family nickname of our very own Jacinta, aka Jacy! All the gorgeous Balinese charms featured in the Cinta Collection are available in sterling silver and in gold and rose gold vermeil. The bracelets feature irresistible combinations of sterling silver, gold & rose gold filled beads in alternating sizes and textures making them perfect for stacking together or with your other favourite bracelets.